Edem K. Garro, also known as Edem Soul Music, is a composer, vocalist, and multi-instrumentalist. She believes that everyone has something to offer the world, and that the arts can be transformational. She loves working with people of all ages. Edem's work primarily focuses on cultural preservation and identity. She engages participants in music, storytelling, sound exploration, and performance, often incorporating her native tongue, the Ga language, originating from Ghana, West Africa. Edem is a first-generation American whose parents are originally from Ghana, and she utilizes the culture that she learned from them, inspiring participants to explore where they came from. 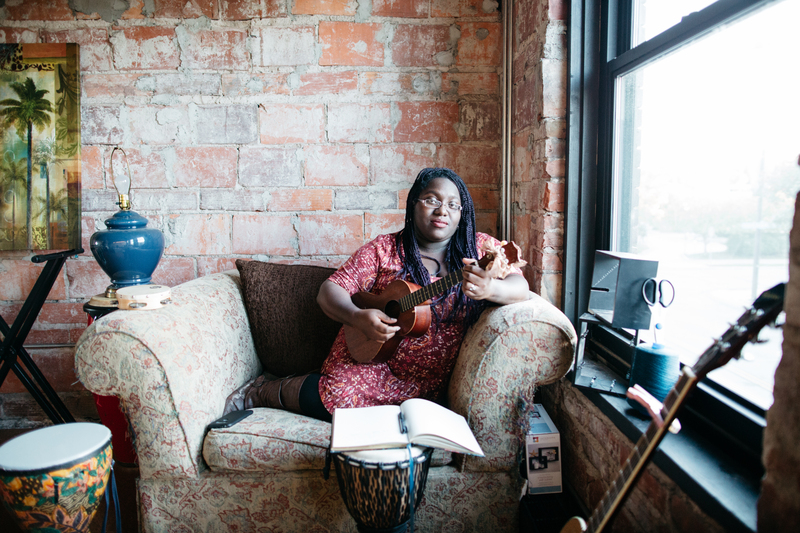 Through music, theatrical performances, African drumming, and singing, Edem utilizes all of her gifts to ensure a better future for those who will come after her.